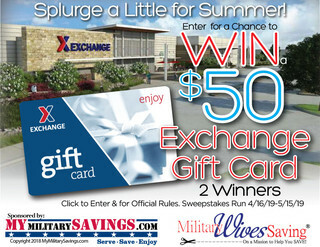 We are proud to offer the following giveaways to military families around the world. 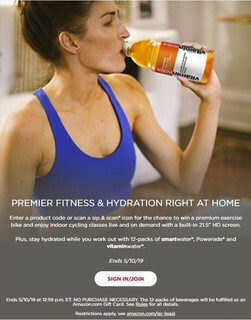 Enter between April 7-21, 2019 for a chance to win a prize package for two to the May 25 & 26, 2019 races in Charlotte, NC! NO PURCHASE NECESSARY. 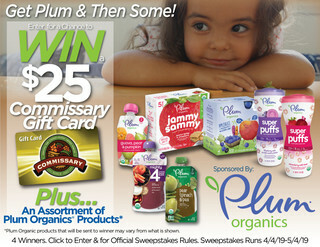 Enter for a chance to win a $25 Commissary gift card and a $25 Plum Organics product assortment! Complete the Coupon request form for your free coupon. Get a $10 Reward When You Buy Your Faves! 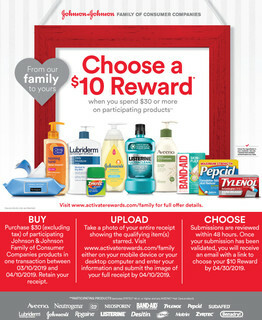 Purchase $30 (excluding tax) of participating Johnson & Johnson Family of Consumer Companies products in one transaction between 03/10/2019 and 04/10/2019 and get a $10 Reward! No purchase necessary to win. These giveaways are random drawings open to all who possess a valid military ID card (active duty, Reserve, Guard, retiree, family members--all branches of service including U.S. Coast Guard), aged 18 and older with the exception of employees and family members of MyMilitarySavings.com and bBig Communications. Random prize winners will be drawn on or before 10:00AM Eastern Standard Time the following day of each giveaway. 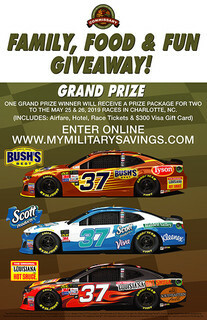 Winners will be notified by email and will be announced online at www.MyMilitarySavings.com and our Facebook page. 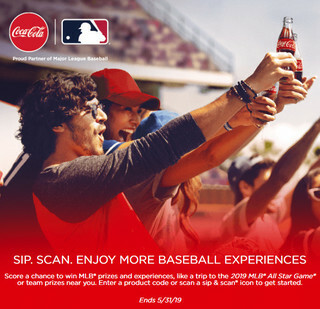 Chance of winning prizes in these sweepstakes is determined by the number of entries received. Winners are responsible for any applicable federal, state and/or local taxes. 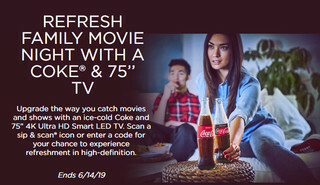 These Sweepstakes are Void where prohibited by law. For more information and official giveaway rules click on the enter button.